Popcaan and his Unruly Camp brought smiles to dozens of children in Kingston, Jamaica on Monday. The international Dancehall artiste rolled out and gave kids some money, autographs and photos. 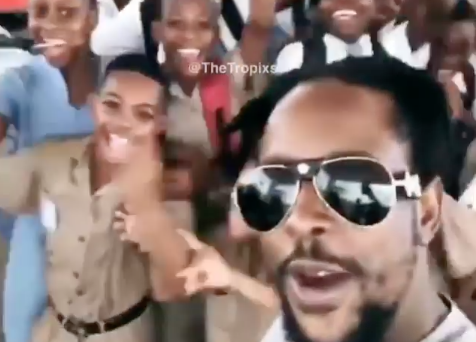 Popcaan has been working hard to preserve his repetition in Jamaica, back in February the “Family” deejay received high praises after he helped to put big smiles on the faces of children from Walker’s Place of Safety. The entertainer donated $100,000 to treat the kids to a VIP experience of watching ‘Black Panther’ at the cinemas. Not only did Dancehall superstar pay for all the children to view the film in their own reserved theatre, but he also ensured that they were also treated to snacks and refreshments. Watch Popcaan’s recent good deed below.